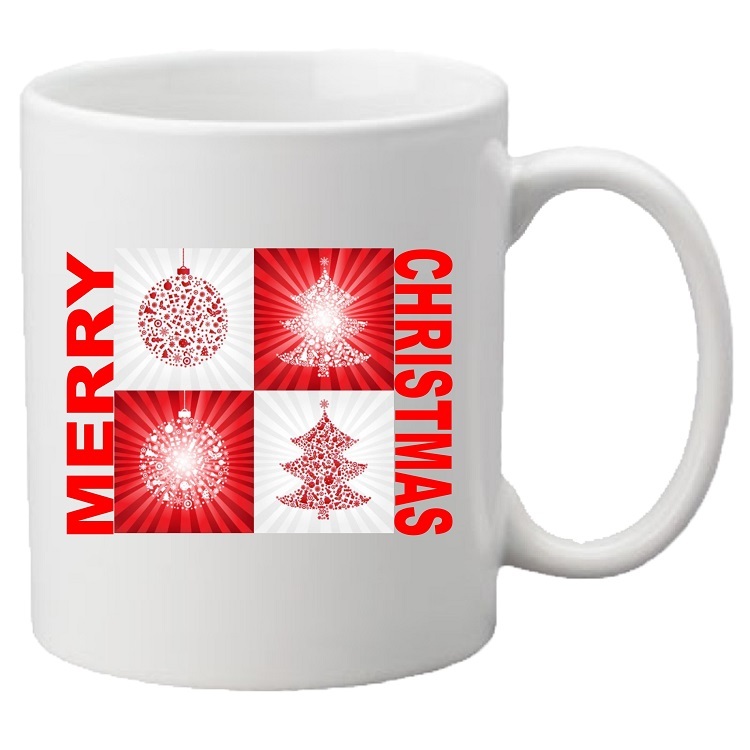 Enjoy your favorite hot chocolate or morning coffee in this beautiful mug with Merry Christmas imprinted vertically on either side of our red ornament and tree design. 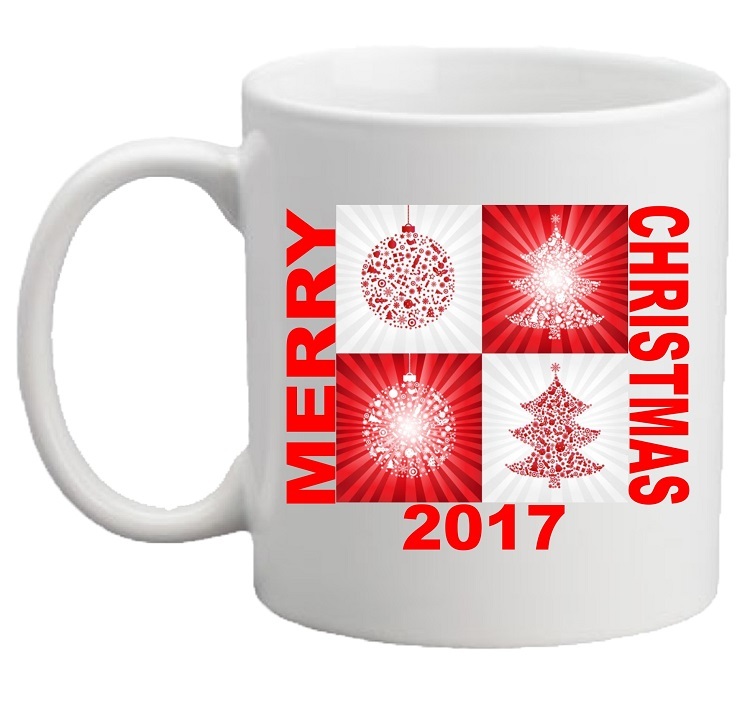 You can have the year imprinted on the bottom of the design, or leave it plain. 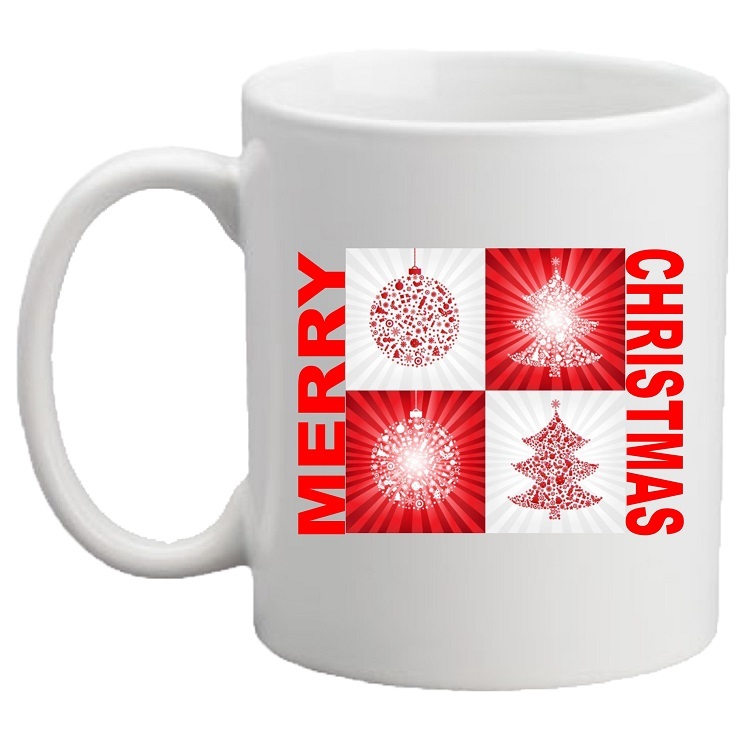 Same design is imprinted on both sides of the mug.